Marmion, Bundee Aki and Luke McGrath scored Ireland's tries as the Six Nations champions held off the stubborn Pumas. Wing Bautista Delguy crossed for Argentina, who edged ahead in the second half through Nicolas Sanchez's third penalty, before Ireland battled back as Johnny Sexton finished with 13 points. 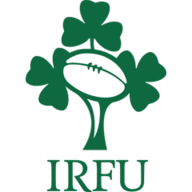 Joe Schmidt's men lost flanker O'Brien to an arm injury and scrum-half Marmion to a leg concern, though - and that after Robbie Henshaw had pulled up in the warm-up with a minor hamstring complaint. Ireland could now be without British and Irish Lions Test star O'Brien and Marmion for next weekend's eagerly-anticipated Dublin clash with back-to-back world champions New Zealand. Sanchez's shot at goal put Argentina in the early lead, before the hosts punted three penalties - two eminently kickable - to the corner. Just when Ireland looked to be leaving their opponents' 22 empty-handed, up popped Marmion to nip home after a potent scrum. 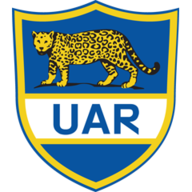 Matias Orlando and Jeronimo de la Fuente then carved open Ireland's midfield for a fine Pumas score, with Delguy diving in gleefully at the corner. Sexton's 50-metre shot at goal then fell just shy, but the Leinster fly-half made no mistake with his next effort. His replacement Luke McGrath nipped in for Ireland's third try, sealing the win and settling frayed nerves.